Dave is a monster from outer space who can’t believe that humans eat other animals. 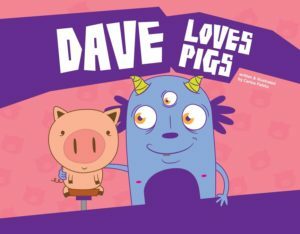 Dave really loves pigs and talks about all of their interesting qualities and provides the young reader with several fun facts. Most importantly, though, Dave makes a case for how pigs should all be happy and free.